Background image of Clouds rising above a field. "I wanted to look at the root sources of immigration. It has been a way to explain who migrants are, where they’re coming from, and why they’re coming. No one migrates out of joy and pleasure — no one leaves willingly. Migration is made out of desperation." On April 26th and 27th, Ecotrust and Blue Earth Alliance will co-host Collaborations for Cause, a national gathering of photographers, NGOs, activists, and communications professionals, to discuss the collaborative future of storytelling. Panelists include experts from top-notch firms like Wieden+Kennedy and Second Story, communications innovators from Ecotrust, Rare, and American Rivers, and world renowned artists and photographers like Gary Braasch and Ed Kashi. The second day of the conference will be dedicated to storytelling workshops. Matt Black will serve on the panel “Authenticity, Ethics, and Aesthetics” and will share his photography project The People of Clouds, which documents the land and culture of Mixteca in southern Mexico. A native of California’s Central Valley, Black was documenting an out-of-work family in his home town when he learned of their roots in Mixteca and decided to look at the larger story of the culture’s migration. Over 250,000 Mixtecs have immigrated to the United States. 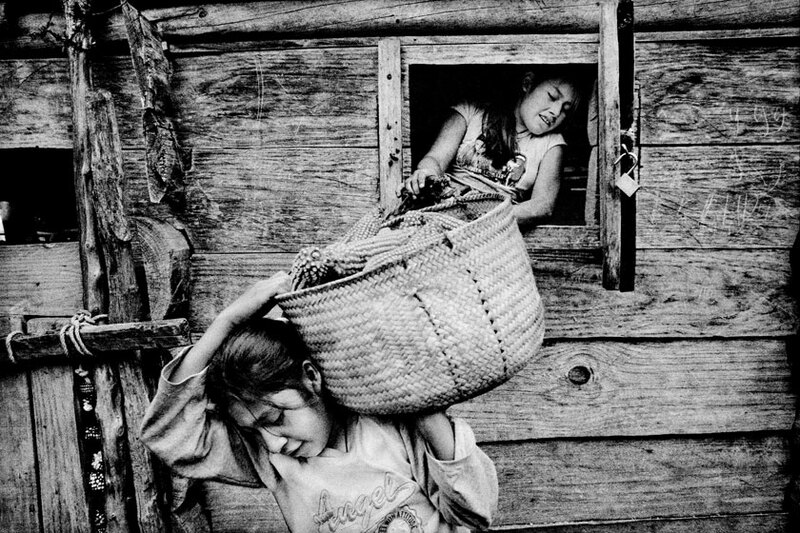 The birthplace of corn cultivation, and once one of the most advanced cultures in pre-Columbian Mexico, the land of Mixteca has suffered from rampant erosion and environmental degradation—its collapsing hillsides have been labeled an “Ecological Disaster Zone.” Black’s photos depict landscapes filled with tin shanties, desolate roads, deserted storefronts, and dusty air. Families carry wheat and corn from ruined land, while mothers prepare meals in dirt-floored kitchens. Q. How has connection to land shaped your understanding of the story? A. It’s dealing with big issues of the erosion of indigenous cultures—not just in Mexico, but globally. It’s kind of a parable for what’s happening around the world. Communities are being lost to urbanization. I wanted to look at the root sources of immigration. It has been a way to explain who migrants are, where they’re coming from, and why they’re coming. No one migrates out of joy and pleasure — no one leaves willingly. Migration is made out of desperation. 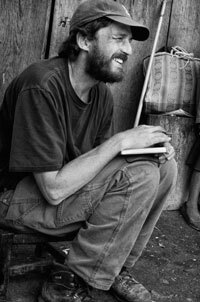 Q. You’ve found and documented so much desperation…were you able to find any sort of hope? A. Frankly? No. The hope left. I have found beauty. But the beauty is being lost. The universal values of relating to the land and connecting to one another are being lost. I have referred to this project as a requiem for a way of life that’s vanishing. The hope is that we’ll try to understand the result of our [American] actions. The hope is more embedded in the question itself — in realizing that we’ve been exporting our way of relating to food and land to the rest of the world. Q. What did you want to achieve through this project? A. The goal has been to inform, to communicate, and to give this important subject matter its due. It’s about giving stories to these faceless, story-less people. It’s about recording the beauty before it vanishes. Q. What are you looking forward to at Collaborations for Cause? A. I’m looking forward to exchanging ideas with other photographers and storytellers.